GLOBALPORT will have a new coach when it kicks off its PBA Philippine Cup campaign Friday. 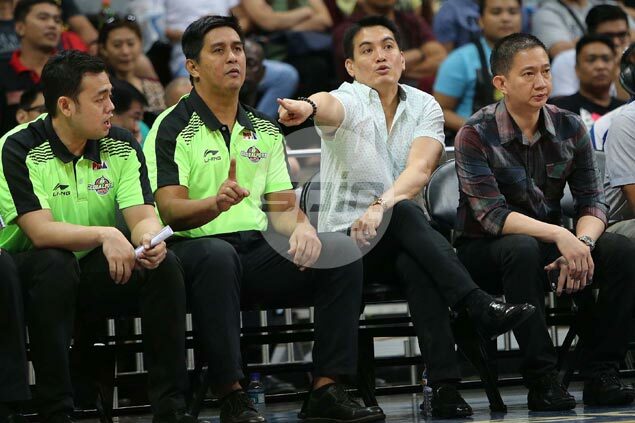 Team consultant Franz Pumaren will start calling the shots for the Batang Pier in an official capacity when they debut against the Mahnidra Floodbusters at the Smart Araneta Coliseum. No less than team owner and current league chairman Mikee Romero broke the news when he announced on social media Pumaren being formally named as the team's new head coach before they play their first game in the all-Filipino conference. Former coach Johnedel Cardel will slide down as one of Pumaren's deputies. The same person said Pumaren will be talking to school officials about him taking over the coaching job at Globalport and doesn’t see any hitches about the matter. Pumaren has an existing contract with the Falcons which reportedly runs until 2019.